Sustainable Brands is an international community of sustainability professionals that hosts annual flagship events in San Diego and London. This year, for the first time, Sustainable Brands came to Australia. The Sustainable Brands Sydney conference, titled “How Now”, focused on How brands can innovate for sustainability and purpose Now. Purpose can help companies engage employees and reduce turnover, attract customers, and create long-term value. (1) You can’t do it alone. Companies alone cannot solve the myriad environmental and social challenges we face. Partnerships, such as across sectors or even with competitors, can help. Collaboration brings unique strengths and can generate novel approaches. For example, WWF and John West, Australia’s largest seafood brand, partnered to tackle the issue of unsustainable fishing practices. WWF was able to bring in expertise, connections, and resources, such as a recommendation to use the industry-leading Marine Stewardship Council certification. Together, WWF and John West were able to certify the entire range of seine caught skipjack tuna. (2) Marketing is changing, and millennials are a tough crowd. Brands now need slick videos and heart-wrenching Snapchats just to get the attention of their customers. But the real win, especially with millennials and Generation Z, is when a brand goes beyond pushing content and creates a two-way conversation. Panelists highlighted examples such as the MUD Jeans recycle tour and the “Haagen-Dazs loves Honey Bees” campaign. The latter, in addition to a slick video and 125 million media impressions, raised $250,000 for university research. Kathmandu is also finding new ways to interact with customers. One approach is to let the customers speak for themselves: the Summit Club comprises customers who rock Kathmandu gear while embarking on adventures of their own. Though big companies might have budgets and dedicated departments to handle marketing efforts, it’s important to note that companies need to go beyond marketing, and that small companies can do it too. For example, both Ecostore and Emma and Tom’s have invested in packaging initiatives to reduce waste and align the entire customer experience with their sustainability purpose. (3) Use tools to build trust and accountability. The ante to play nowadays is a Corporate Social Responsibility report with measurable goals and a specific timeframe (e.g., 25% emissions reduction by 2020). Setting ambitious targets, working to meet them, and reporting progress not only creates accountability, but also builds credibility for your brand. Reporting is also increasingly important as investors begin to incorporate Environmental, Social, and Governance (ESG) risks into their decision-making frameworks. Australian companies are increasingly doing this, according to the ACCSR annual report. The next evolution of sustainability best practice is to define goals in context of the fundamental planetary boundaries and macro conditions that govern business and society. Frameworks such as the Sustainable Development Goals (for a quick primer on the SDGS, see here) can help. Unilever has worked hard to do this with their Sustainable Living Plan, for example. Third-party certifications are another tool that help brands build trust. These independent assessments verify to customers a brand meets a certain standard. Beef company Teys Australia uses the USDA Organic standard to differentiate their premium products and guarantee quality. Tools such as CSR reports, frameworks, and certifications help brands hold themselves accountable and make progress against their goals; however, it can still be hard to translate goals into actionable first steps. Panelists throughout the conference highlighted that senior management buy-in, and embedded internal “champions”, can help sustainability initiatives gain traction and maximize impact. The word “sustainability” itself is still a stigma among some who worry that it means extra costs, regulations, or missed opportunities for profit. But sustainability does not have to cost more; often, in fact, in can save money, like with energy-efficient buildings that cut down on utility bills. Despite a growing number of success stories across industries, committing to a sustainability strategy can still be challenging. Organizations may need to bring in outside perspectives to help change entrenched perceptions of sustainability and catalyze new innovation efforts. Consultants, like ThinkStep, WeFirst, and Republic of Everyone, and community builders, like Forum For The Future, can help companies make progress quickly. Hiring is another way companies can bring in fresh ideas and shift the conversation around purpose and sustainability. But it may depend where the sustainability people sit within an organization: corporate affairs, PR, and marketing are good places to start, but industry-leading companies embed sustainability throughout the organization, especially in growth-driving areas of the business like R&D. When coupled with innovation, sustainability strategies go beyond compliance and cost cutting to unlock new sources of value for brands. Technological innovation is key, such as with the science and engineering behind Leaf Resources and the award-winning LED displays powering Vivid Sydney. But technology is only one facet of a comprehensive innovation strategy. New business models and organizational structures are also necessary. For example, MUD Jeans is exploring a service model with their lease-a-jeans effort, and TerraCycle completely transformed consumer willingness to change by gameifying recycling. Innovation can happen externally as well, for example through corporate venturing activities. Simplot, for example, recently launched Ignite, an accelerator that will support startups focused on providing health and wellness solutions to an aging population. A purpose-driven innovation strategy can unlock new sources of value for brands and their customers. Sarah Nolet is the Founder of AgThentic, an innovation and sustainability consulting firm for the food system. Sarah received a masters in System Design and Management from MIT, where she ran the Food and Agriculture Club, co-founded the MIT-Rabobank Food and Agribusiness Innovation Prize, and wrote her thesis on “Accelerating Sustainability-Oriented Innovations in Agribusiness”. 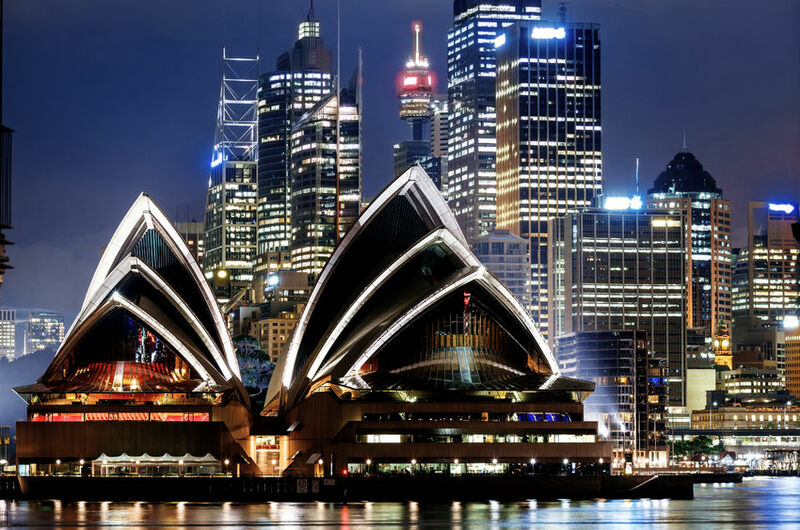 Sarah recently moved to Sydney, Australia where she is exploring, and catalyzing action within, the AgTech innovation ecosystem. Nolet also holds a B.S. in both Computer Science and Human Factors Engineering from Tufts University.